Ylang Ylang, Neroli and Clary Sage. 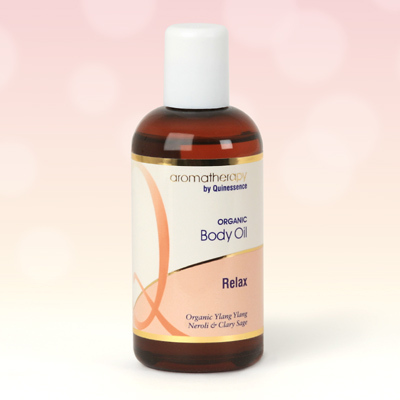 The sensual and deeply relaxing qualities of these three oils combine to make this the perfect relaxing massage oil. Contains Certified Organic Essential oils of: Ylang Ylang, Neroli, Clary Sage, and Vetiver in blended Sunflower and Coconut carrier oil. Helianthus annuus, Cocos nucifera, Cananga odorata, Citrus aurantium amara, Salvia sclarea, Vetiveria zizanoides.